Retailed Profits is another binary related trading scam that has hit the lucrative binary trading world. Retailed Profits is promising users that they will become millionaires within six months. We have received numerous email complaints from online investors who lost their money after signing up with this scam software. Retailed Profits has over the moon profit margins which makes it easy to attract binary trading newbies. According to the presentation video, Retailed Profits apparently has a one of a kind algorithm. This algorithm has a 100% winning rate and thus you will win all the trades you place. It means that even newbie traders who don’t know the meaning of trading will use the auto pilot feature and make money. Who earns money by just clicking a tab and make over $5000 daily. They also add in the fact that the software is free of charge. We decided to investigate further and reveal the scam artists behind Retailed Profits. Simon Moore is the person behind this shameful scam. We don’t know much about him only that he is the creator of this disgrace. We don’t know much about this guy but he is the person who presents the presentation video. We are positive that Simon is nothing but a hired Fiverr actor who has been paid to lie in front of the camera. These hired actors are hired from fiverr.com and they sell for $5 for every fifty words spoken. The real scam artists behind this app hide their identities and use the actor as the face of Retailed Profits. Since the presenter, Simon Moore is a paid actor, we cannot believe anything that he says. This is crystal clear that Retailed Profits is nothing but a money making scheme that entices newbie traders into joining. 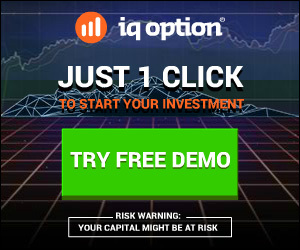 These scam artists take advantage of newbie traders as well as online investors into signing up with this shameful scam. We have searched everywhere for this genius developer but there is no mention of him even on social media. How can one make a trading tool that generates so much money in a day and not be on any social media pages or search engine? Simon Moore claims to have made millions ever since he developed Retailed Profits. He claims that Retailed Profits was finalized early 2016. For the past one year, he has been using it and generated insane profit margins. He also goes ahead and states that he decided to share the tool with the rest of the world. He wants every person that signs up with this system to earn as he did. To add icing to the cake, he says that Retailed Profits is free of charge. Alarming things found on Retailed Profits. The developer claims that Retailed Profits runs on auto pilot and no prior trading experience is needed. This means that even when a trader doesn’t know what call or put is, they can easily use this Retailed Profits. They also add in the fact that it has a trading accuracy of 100%. This in short means that it will successfully place ten trades and will all of them. This is simply fictional and there is no trading tool on earth or even trading expert that has such high accuracy levels. We believe that this is all fictional since all financial trading markets are volatile and prices change abruptly. This is caused by unforeseen forces such as boardroom wars, political interference, strikes and many more. Thus, making the right prediction all the time makes it a hard task, impossible to accomplish. Retailed Profits using Unregulated Brokers. Retailed Profits is using unregulated brokers. This means once users make their deposit money with them, the money is at the mercy of these brokers. The problem with unregulated brokers is one, you cannot report to the authorities once your money is lost. This is why we state in our reviews that users should use trading tools that use regulated brokers. With regulated brokers, your money is in safe hands. Some of the brokers Retailed Profits is using are blacklisted brokers, you should avoid this it. We did a thorough investigation using Divisions of Corporations site and the results were as expected. There is no company registered with this trading tool anywhere on the face of the earth. This shows that we are dealing with a dummy company. This is very risky business and we cannot allow such tricksters to ruin the binary trading world. The developer claims that he started using the trading tool early 2017. When we used the whois.com to find out when the trading tool was registered, we were shocked to find it was registered last month. Yes, all the talk about how he has been making money for the past six months is definitely a lie. How could he have earned all that money when even the domain name wasn’t registered? Fake Testimonials used on Retailed Profits. Retailed Profits is full of untrusted and outright fake testimonials. These testimonials you see on the homepage are stolen online identities. These scam artists take stolen photos and edit their own testimonials. This is done in order to lure unsuspecting online investors. This is also another trick these online fraudsters use to make money online from newbie traders. There is one guy who claims to be a legitimate user of this trading tool. His real name is Jeff who hails from the US. He is a well-known Fiverr actor who is paid five bucks a word. As we all know, actors do lie and these actors get paid $50 for every fifty words. This makes it easy for the real fraudsters to hide behind the curtain. Retailed Profits website, retailedprofits.co, consists of a simple video and email subscription form. To join this site, you require an email address and they claim that here are no hidden costs. The owners of this bogus app want you to register with the trading tool through a web form. You are required to make a minimum deposit of $250 and start trading. The sad fact is that this trading tool is not for free. The owners claim this but you will indeed have to part with $250 of your hard earned cash even before you start the actual trading. They are also lying to us when they say that Retailed Profits uses a one of a kind algorithm. Their algorithm apparently works miracles and will without a doubt succeed in all trades. They claim that Retailed Profits is using artificial intelligence. This is all a lie. Retailed Profits is without a doubt today’s binary trading tool to avoid. As we earlier stated, there are indeed real and genuine trading tools in the market. You have to use genuine, trusted and approved trading tools in order to trade safe. From the fake developer, fake testimonials, over the moon trading accuracies, it’s clear Retailed Profits is a scam. Steer clear from fake and illegal trading tools and get trading tools that the trading community gives the green light.